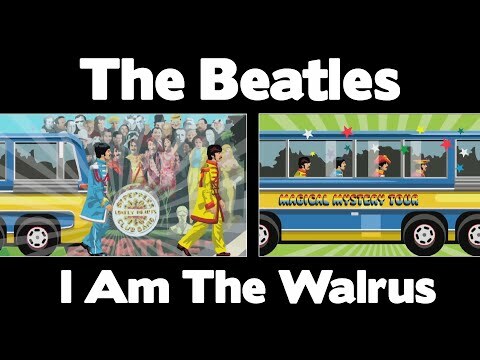 "I Am the Walrus" is a 1967 song by The Beatles, written by John Lennon and credited to Lennon/McCartney. Lennon claimed he wrote the first two lines on separate acid trips. The song was in the Beatles' 1967 television film and album Magical Mystery Tour, and was the B-side to the #1 hit "Hello, Goodbye".